Is the Tide Turning on Trolls? 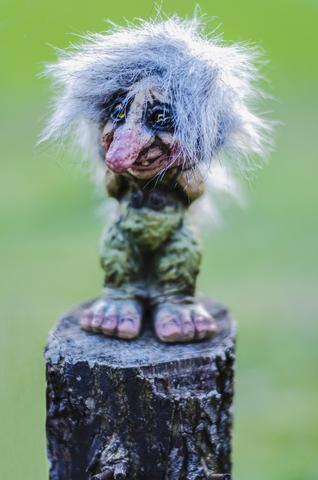 What is a “troll?” Simply stated, a troll is an entity that purchases a patent and or copyright, often from a bankrupt firm, and then enforces their rights against those who infringe upon their rights… even though they have no intent to produce or license content, no software development capabilities, no manufacturing capabilities and no intent to use their patents. A troll’s sole reason for being is to assert infringement claims against industries and or individuals to collect fees. For unwitting defendants the costs can be staggering, while the legal expenses of the trolls (often groups of attorneys) are relatively small. Couple this with the fact that the trolls typically sue to enforce their rights in “plaintiff-friendly” forums such as certain districts in the state of Texas, defendants are often forced to seek resolution by settling cases without the benefit of due process. Needless to say, the omnipresent threat of these trolls and the potential costs associated with litigation have had a stifling effect on business innovation, particularly in the marketing area where the use of third party content, software applications, widgets and links have exploded in the era of digital media. Well, perhaps the tide is finally turning against the trolls. In a recent court ruling in the East St. Louis district of Illinois, a Federal judge ruled against a group of attorneys accused of being “copyright trolls.” In the case in question, the attorneys obtained copyrights to adult movies and then brought suit against individuals and entities that downloaded those movies. In issuing his ruling, U.S. District Judge G. Patrick Murphy called the actions of the plaintiffs (three lawyers) “abusive litigation” and ordered them to pay the defendants $265,000 to cover their court fees and legal costs. The aforementioned East St. Louis district ruling provides evidence that the executive actions and legislative recommendations issued in June of this year by the Obama Administration may in fact have teeth, contrary to the prevailing sentiment at the time. It should be noted that one of the legislative changes recommended to Congress was to allow Federal Judges to force abusive trolls that lose in court to pay the expensive legal fees of those that they sue. While the war against infringement rights “piracy” is far from over, the tide just may be turning against non-operating entities seeking to exploit their patent and copyright ownership interests. If you are interested in learning how your exposure to “Trolls” can be managed in the context of your agency agreement, contact Cliff Campeau, Principal of Advertising Audit & Risk Management at ccampeau@aarmusa.com.